A newpaper "needed balance"?? Since when! Plodding through some of my reference books, I think what this group believes is the APU cover off of Amelia and Fred's Electra (which we know didn't have such a cover), might be an access plate cover from the outer wing of a Japanese land-based Zero fighter or the float-equipped Rufe variant. Trying to find a better image but any kind of detailed, in-the-weeds documentation about WW II Japanese aircraft is difficult to find. Darn good chance it's from some other Japanese type. The red paint is an important clue, but without a composition and country-of-origin analysis, the red paint in and of itself doesn't mean much. Even less so the landing gear dust cover. Although I will point out that the primer used on a number of early-war Japanese aircraft was a reddish hue. P.S. - read the comments on the KC newspaper story if you want a head shaking WTH moment. Now there's an understatement if ever I heard one. I don't think 'newspaper' (figure of speech today) comment logs are much of a forum. I don't have a problem with critical comment. I think we'd all be better off focusing on the hard science, as best we can. Some of us are limited in that way, but can encourage it as a more pure approach. Part of dealing with criticism is to know why you look where you look and don't apologize for that. I say that because if you look carefully, a lot of criticism carries an undertone, if not direct commentary, that 'they're crazy for looking out at Niku anyway' - and I'd say the Gardner Arrival is as likely as some other things, if not more so... blah-blah-blah. I've grown up a lot here. What has come to mean the most is integrity of process - when we're doing our dead-level best to seek real answers to that which we hypothesize, and stand prepared to see it through in the case of a positive or negative. If we work short of that, then we're not serious. I'm sure we've been less than perfect at times, but maybe we're not that bad all the time either - and maybe we learn more about keeping these things between the rails of scientific sanity. Much of the criticism can be worthy to sharpen that process, but some of it will always be noise - it's human nature. But as to newspaper commentary... well, I can go be a self-imagined assistant Secretary of State if I want to be, for 8 seconds, by beating my chest on a major outlet somewhere as to world hunger and peace I suppose. Good work on the cover plate, Monty. It would be cool to nail that down, whatever it is. At some prodding that I need to answer, I also need to look for an Airwheel manual / catalogue - would like to know more about the 'dust cover', however much I doubt a tie to Earhart's airplane. ...if she had them in her plane,.. (they seem to be listed in the luke field inventory .... 62 1 Ea. Cover Plates for wheels ), ...and didn't use them up until the Lae landing , and I don't know this as fact , but I would assume they would have been on the ship home list after the reduction in onboard materials, performed before final takeoff. http://tighar.org/Projects/Earhart/Archives/Research/Bulletins/41_WheelofFortune/41_Wheel.html.... note the small holes on the outer edge of the rim...If this is where the dust cover attaches, the Goodyear model has three ( 3) holes for that purpose. 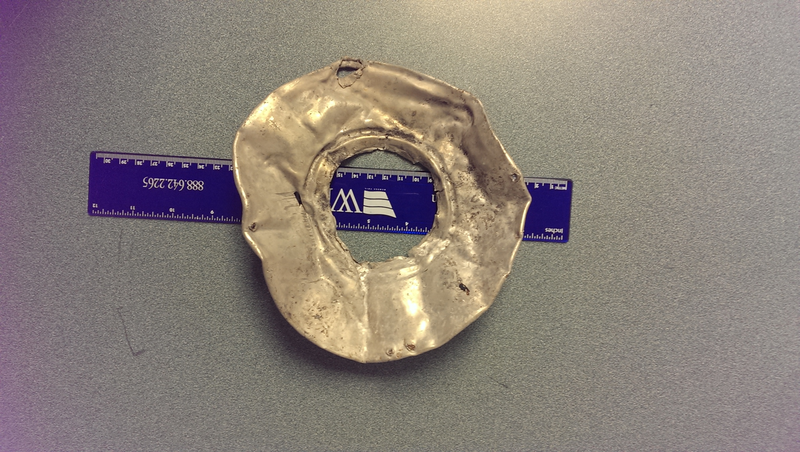 Looking at the artifact that the Barre atoll party found , it appears by the spacing of what appears to be holes in the outer rim, that this particular cover would have four (4) attachment points....therefore; would this cover fit Earhart's Electra wheels? The Barre atoll party, seem adamant that they have a dust cover for the Electra ,.....were there any earlier/later hub designs that had a four hole screw pattern? I am unable to view a clear enough capture of the wheel hub on Earhart's electra to verify that her's was indeed three (3 ) hole design. If it is discovered that hers carried the ( 3 ) hole design , it could go a long way in dis-qualifying their artifact as from her plane. 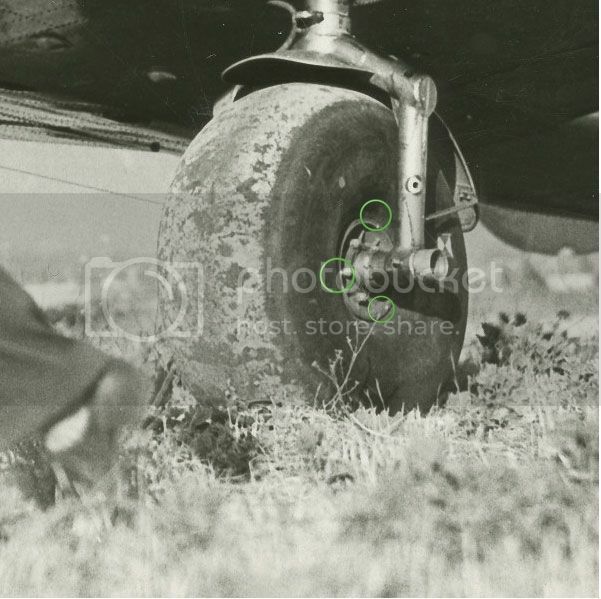 I think the real source to solve this is in the photos - did Earhart's Electra have such dust covers? Maybe perusing the Purdue site can yield photo evidence. If I had to bet right now I'd bet against such a cover being on her bird, but if those folks want to wring their effort dry that'd be a place to look. Two sets of photos - March 14, 1937 and June 30 or July 1, 1937. Prior to the first word flight attempt the inside of the wheel looks like it might have a cover. In the photo taken in Lae it's pretty clear that there is no cover. I believe,the inner portion of the hub carries the brake mechanism, and it is my thought that what looks like a cover on the somewhat larger inboard portion of the hub, is the backside of the hydraulic brake cylinder. If we can get a good capture of the smaller outboard hub, as in the wheel of fortune museum wheel view, it may show us how many attaching screws were on the Earhart plane. I have uploaded all of the pictures I took with Howard Alldred of two Lockheed Electra 10A airframes in Auckland, New Zealand. It was the summer of the Wheel of Fortune. 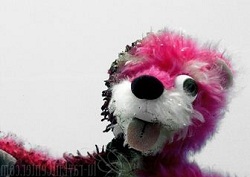 We were also pretty preoccupied with figuring out what the "wreck photo" showed. It was the only time I've been up close and personal with an Electra. I may have seen one or two in Oshkosh, but I don't seem to have any closeups in hand. I have no idea how the Auckland photos might relate to this conversation. They may be totally irrelevant and, if so, my apologies in advance. There's a LOT of variation in wheels on Lockheed Electras, but the question is very straightforward. What did the wheels on NR16020 look like at the time it disappeared? That would be the clincher, at least as to whether NR16020 had such covers or not (but not whether, if it did, that the one found is of the same). On the fringe lies the challenge of 'what are the chances of arrival' at Barre Atoll? I realize every arrival hypothesis other-than 'near Howland' involves some degree of that concern; the further from Howland and the line of position one's presumption gets, however, the more ominous that challenge seems to get, in my view. According to the picture of the dust cover, if flattened out it would measure at least 8 inches. The wheel was 6 inches as defined in the inspection report. What part of it is not from an Electra L-10E don't they get? Attached is a picture of the wheel in Bandoeng. It has no dust cover. Another post was made by a "Ric Gillespie" in 2012 with several other pictures purporting to be of Earhart's Electra. it does appear that the outboard outer rim measurements are about 8 inches....would the six inch figure be the inside hub/tire hole diameter? ....again, I haven't, seen the dust covers installed on her plane at any time.....(they are listed in the luke field inventory as being on board)...., if she had them along on the second attempt, it doesn't appear as if they were installed....I note the air valve stem on this portion of the hub as well...access to it may be a reason for the cover's omission. Still working on a good view of the outward hub, to try to determine if Earhart's wheels had 3, 4, or more attaching points. That first photo appears to have 3 screws/ holes IMO , and look offset enough. Has anyone located a decent graphic or photo of the dust cover on an airwheel? I feel like I need to better understand what one of these would look like when actually installed. My understanding is that the dust cover was installed on the inboard side of the airwheel. There is a decent shot of the inside of the airwheel - blown up and attached below - but I can't really tell if there is a cover, somehow molded over the underlying structures, or not. My impression is that there is not a dust cover in this photo, but I don't feel that I know enough about how the dust cover was installed to be sure.